Mary de Lisser was a beloved assistant in our Children's Room. She told stories and conducted craft sessions for decades of Blauvelt children, who knew her as "Miss Mary." Mary was born in Flushing, NY to Angelo Olivia and Catarina Palumbo. She was a member of the third graduating class of Queens College, where she earned a bachelor's degree in Romance Languages. Mary worked as a translator/censor for the Armed Services in Sands Point, NY before starting a family and then returning to school to earn a teaching certificate. Mary began her career as a first-grade teacher in the North Rockland School District. She retired after 20 years of teaching first grade at West Haverstraw Elementary School and began a long association with the library. Our StoryCraft Cottage room will be dedicated in Mary's honor in 2018. 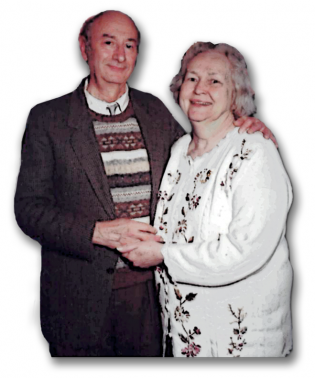 Anne (Murphy) Baer served as the Treasurer of the Friends of the Blauvelt Free Library. She spent 20 years at Prentice Hall as an Accounting Supervisor before retiring in 1995. She devoted many years volunteering for St. Catharine's Church in Blauvelt and worked for the Board of Elections. In her retirement years she was involved with local organizations such as the Catholic Daughters and Morning Music Club. Ann was born in New York City to William and Lillian (Masterson) Murphy. In May 1954, she married the love of her life, Carl Baer. In her heyday, she loved to travel. She had a strong intellect along with a lifelong passion for reading and kept her mind sharp by reading the newspapers and watching Jeopardy on a daily basis. She derived her greatest joy spending time with family and friends and took great pride in her role as the family's matriarch. Brooklyn native, Bill Schutz, was a library trustee from 1987 to 1997, serving six terms as president. 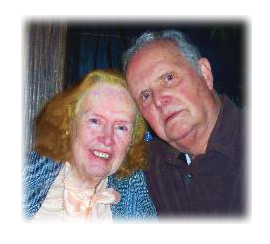 He spent 47 years in the construction and engineering fields, marrying his lifelong sweetheart, our circulation clerk (and former trustee), Irene (Dunn) Schutz. As Orangetown’s Clerk of the Works, Bill presided over the building of Town Hall in the 1990’s. He also served as as one of St. Catharine’s first parish presidents. In 1962, he was an integral force in establishing a new chapter of the Knights of Columbus in Blauvelt (St. Dominic Council) and served as their first Grand Knight and District Deputy. Their banquet hall bears his name — Bill Schutz Hall. Bill’s legacy lives on in his community activism, his passion for family, and his enduring faith. His son Thomas serves as a trustee on the library Board. In the early 1960’s Bessie Sobel joined the staff as an unpaid children’s librarian.She taught in Detroit before she and her husband Stanford moved to Blauvelt in 1953 where they lived until 1997. A teacher and tutor, Bessie understood what children wanted to read and managed to make the most of a meager book budget. She eschewed secondhand donations for fresh unmarked books in her single-minded quest to create a stellar children’s collection, assisted by Pat Morgan and Celeste Zaferiou. It was Bessie who urged Marybeth Darnobid to take over as Children’s Librarian when she retired in 2008 and moved to Boulder, Colorado. Bessie died on June 21, 2010 at the age of 90. Her estate left the library a $5,000 bequest earmarked for literacy efforts, which funded the colorful "form swarm" that spans the stairwell leading to the Children's Room. Al attended Cooper Union and City College where he received a degree in Physics. He was employed for almost thirty years as a physicist by the Pantone company, during which time he received patents for his work on color theory, most notably the six-color process. He developed a special fluorescent paint used by the Air Force during World War II to prevent planes from reflecting light and being detected. Al taught at City College and Lehigh University. In retirement, he served on the Library Board of Trustees until his death. A gentle man, Al will be remembered for his kindness to all and his dedication to the community, participating in fundraisers, attending town meetings, and recycling before it was popular. He was writing a cookbook for dogs along with his daughter, Deborah. Bronx-born Ann, was a parishioner of St. Catharine’s Church and a member of the Ladies Guild. She worked as a library assistant for thirteen years at both the Orangeburg and Blauvelt Free Libraries. She is remembered by all as a lovely and gracious woman. Al and Ann’s daughter Theresa is currently employed by the library as the Head of Circulation Services. Celeste was born in Bloomsburg, Pennsylvania. She taught in the South Orangetown School District in Blauvelt where she lived with her husband, Socrates, in a Frank Lloyd Wright house on Clausland Mountain Road. She and her husband retired to Port St. Lucie, Florida. 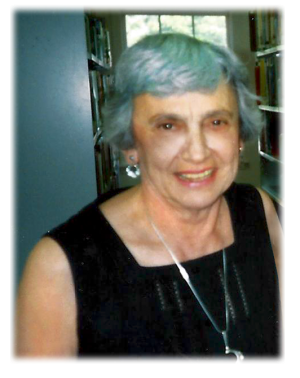 Celeste was a beloved member of the Blauvelt Free Library's children's room staff for many years.